Anderson “The Spider” Silva and Michael “The Count” Bisping have been two of the most dominant fighters in their division for the better part of a decade. The brash Brit has utilized an impeccably well-rounded game to kick, punch, choke and grind his way to victories over some of the best fighters in the UFC Middleweight division. However, “The Count” has never broken into a title fight, facing his toughest defeats when his chance at gold seemed so close. Anderson Silva was once the greatest fighter on the face of the earth, and is easily in the top 3 fighters to ever live. His sublime striking, head-movement and stopping power has drawn comparisons to Mohammad Ali and Roy Jones Jr., and his come from behind submission victories over Chael Sonnen and Dan Henderson are a testament to his own mastery of multiple martial arts. However, age makes a coward of even the best fighters, and with Bisping being 36 and Silva in his 40’s, this may be the last chance for two of the division’s top fighters to make their last push toward the gold. Bisping chasing what is likely his last chance at a title shot, and Silva a chance to go out of the UFC with the belt he once defended 10 consecutive times around his waist. “The Count” has been campaigning for a fight against Silva since “The Spider” first had the belt handed to him. However, vicious KO losses to Vitor Belfort and Dan Henderson, as well as a submission loss to current champion Luke Rockhold, have kept the always tough Englishman out of a title fight. Still, his 27-7 record is littered with the names of some of the best fighters in the sport, and he’s beaten most of them, historically tangling with his division’s top ten for the majority of his career. 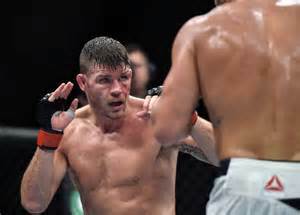 Bisping as a fighter defines well rounded, he’s taken down NCAA champions like Chael Sonnen, knocked out strikers like Cung Lee and Jorge Rivera, and battered well-rounded contenders like Alan Belcher, Brian Stann and Mayhem Miller with alarming ease. However, when the big chance was on the line, Michael has always faltered, giving him a reputation as a choke artist who can’t handle big fights. However, this reputation is slightly unwarranted, as his major losses all have something of an asterisk to them. Before being viciously knocked out by Dan Henderson, Bisping was competitive and the scrap was far from one sided, but Henderson’s ridiculous power paved the way for an iconic knockout. Vitor Belfort kicked Bisping’s head into the cheap seats, but was found to test positive for elevated levels of testosterone and PED’s (Belfort has a history with PED use throughout his career). His loss to Chael Sonnen was a split decision that could have easily gone either way. The only two losses where the English smack-talker was dominated were his submission loss to current champion Luke Rockhold, and decision loss to US Special Forces standout Tim Kennedy. All elite competition, several of which are questionable losses. His victories, however, are extremely dominant. His drubbing of former Strikeforce champion Cung Lee was hard to watch, and his almost surgical destructions of Chris Leben, Brian Stann, Mayhem Miller and Yoshihiro Akiyama were marvelous displays of precision striking and ridiculous pace. Meanwhile, Anderson Silva is…well, he’s in a class all his own. Before his knockout loss to Chris Weidman, Silva’s air of invincibility was something unlike any before him. 10 consecutive title defenses, 9 coming by stoppage, with trips to the light heavyweight division that saw him knock out former champion Forrest Griffin, Silva has toyed with opponents before burying them for a sea of gaping mouths, his jaw dropping movement was something to behold. Now, that said, it doesn’t matter how fluid or athletic someone is, eventually age causes your reflexes to slow, your power to slip, and recently, Silva has been made to look human. In his most recent fight, Silva met Nick Diaz (typically considered skinny for the Welterweight division) in a fight where the former champion looked extremely tentative. Now, Diaz has made some of the best fighters on earth back up and flinch, but to see the man who was formerly knocking light heavyweights out cold be cautious to engage a Welterweight was extremely indicative of Silva’s age catching up with him. Additionally, he looked extremely hittable and flustered in the Diaz fight, as the Stockton born fighter’s constant trash talk and high volume boxing consistently forced Silva to retreat. When it was discovered that Siva had tested positive for performance enhancing drugs after the fight, his lackluster performance seemed especially damning. If this fight was 3 years ago, Bisping would have likely faced a relatively early knockout at the hands of the Spider. At this stage of the game, Silva’s athleticism is visibly diminished, but Bisping’s has stayed exactly where it’s always been. One of the most well-conditioned fighters in the entire UFC, Bisping has a similar attack to Diaz, in the sense that he makes up for his lack of one punch power with 7 punch combinations that add up to TKO’s. Unlike Diaz however, he is far from the stationary pocket boxer you see in Nick, and instead throws a much more diverse attack at multiple angles, and at an insane level of output. Silva still has remarkable power and technique, but age seems to have made a decision on this fight. He has been out for a year with his suspension, looked pedestrian while using PED’s and had a fight that was too close for comfort with an inflated welterweight. Additionally, Bisping is 3-1 in his last 4 with wins over top 10 competition, and has the technique and conditioning to really push Silva to the brink. It’s been a long time coming, but the bold English fighter, loved by many and hated by more, will finally get the chance to play heel on the biggest stage of his long career. “The Spider” may be dangerous, but I believe he will fall to “The Count” before the final bell. We will find out on February 27th. 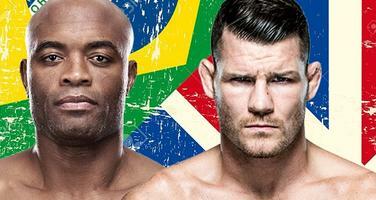 Prediction – Michael Bisping defeats Anderson Silva by TKO in the 3rd round. « Previous Article The Karate Kid: Is Stephen “Wonderboy” Thompson Destined for Gold?